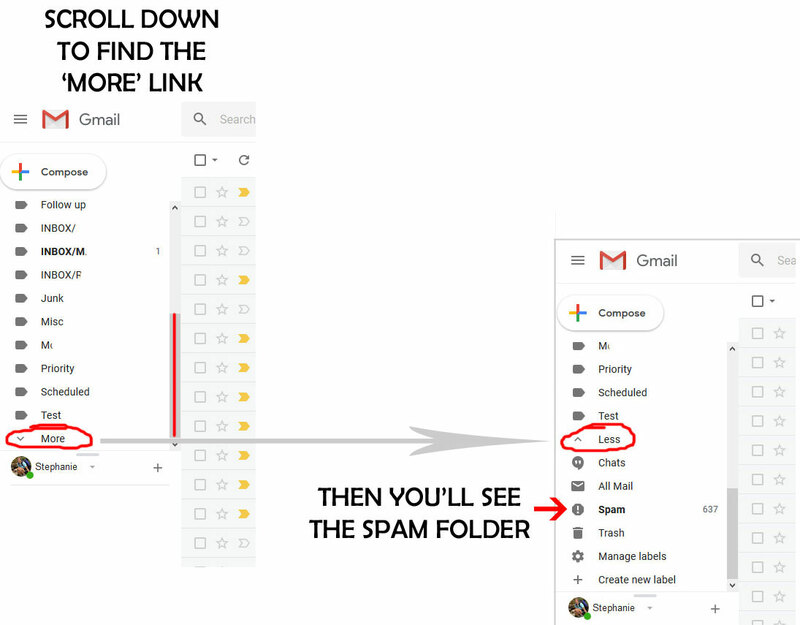 Log into Gmail.com and click the icon that looks like a cog wheel. Go to the ‘settings’ tab. Type in the EXACT wording from the SUBJECT LINE of your form into the subject area & click ‘Create filter’. If you’re not sure, find an old email form in your email box or spam box. 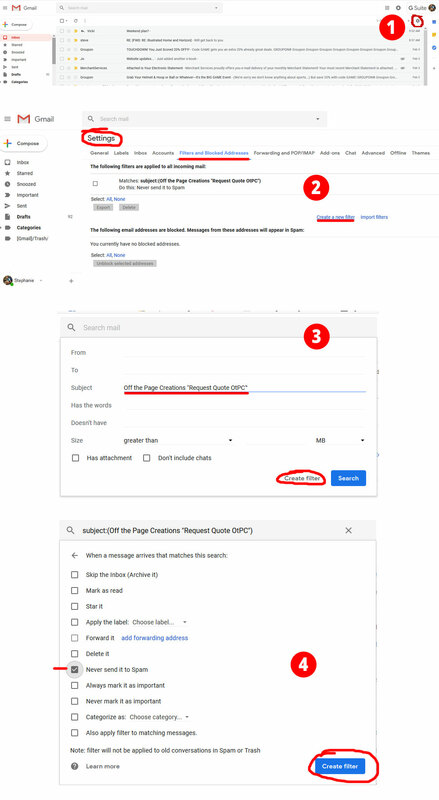 These steps are for Gmail, but other email programs will have the same basic steps.